Department of Medical Oncology at the Hospital S.G. Moscati of Taranto, Italy. The immune system is able to defend us against both pathogens and cancer. Immune response against cancer cells is very complex, and it can be divided into three phases, such as: the innate immune response; the activation of specific T-cells against cancer and the killing of tumour cells made by the above mentioned T-cells. On the basis of these findings, it is easy to understand that strengthen the immune response against tumour cells may be an incisive strategy of therapy. Several immunotherapy approaches have been proposed over the years, however all of them have a common characteristic: the possibility to obtain a class of T-cytotoxic lymphocytes able to attack the tumor. Immunotherapy strategies that have been developed over the years may be briefly divided in five categories: (1) direct administration of immunogenic tumour antigens; (2) providing DC pulsed with specific tumour antigens; (3) providing specific T-cells, pulsed with immunogenic tumour antigens; (4) administering cytokines able to activate T-cells against tumour cells; and (5) modifying the microenviromnent in which the T-cells mature, removing all the stimuli able to induce T-cells anergy. The history of immunotherapy starts with the administration of prototypes of cancer vaccines, such as the Coley toxin and ends with the discover of the last generation checkpoint inhibitors. 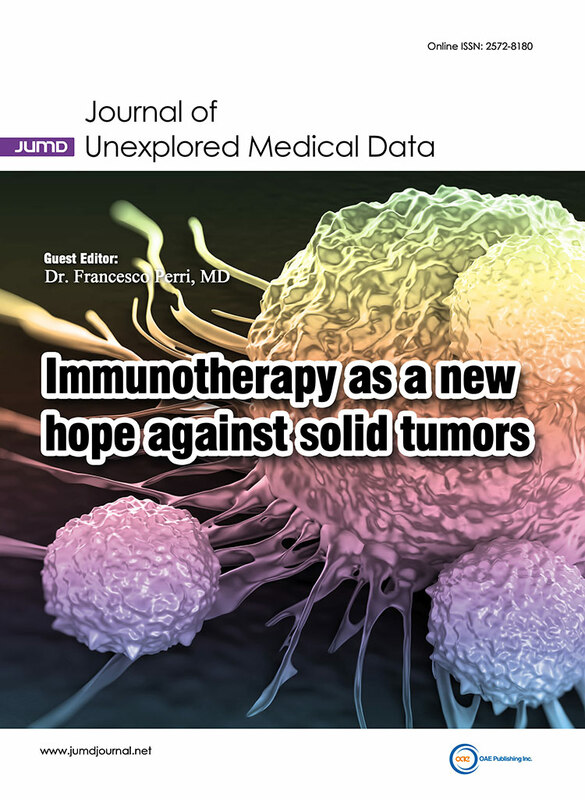 Aim of our special issue is to review the importance and the clinical applications of several strategies of immunotherapy against solid tumors.